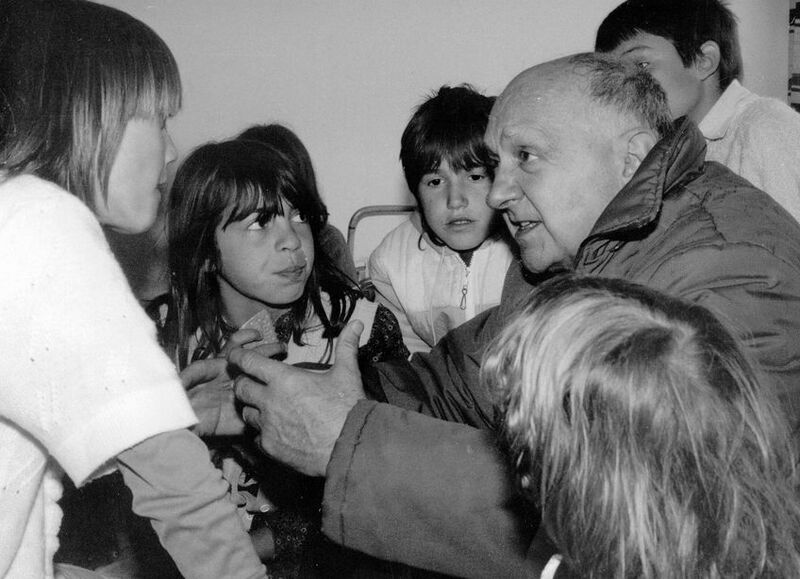 Father Joseph Wresinski (1917-1988) founded the International Movement ATD Fourth World (ATD) in 1957 at Noisy-le-Grand – a shanty town near Paris, France. We are now in 30 countries. We have consultative status with the United Nations and the Council of Europe, as a result of our long-term grass-roots commitment and poverty research work undertaken with poor individuals and families. In November 2008, we were awarded an honorable mention of the prestigious UNESCO/Bilbao Prize for the promotion of a Culture of Human Rights. The award, given every two years, rewards the efforts of institutions, organizations and individuals that have made important contributions to the promotion of human rights through education, research, and efforts to raise the awareness of decision-makers and the general public. ATD Fourth World Philippines started in 1987, 30 years after ATD’s founding in France. Full time Swiss volunteer Johanna Stadelmann set up the Philippine office upon the invitation of then Secretary Estefania Aldaba-Lim of the Department of Social Welfare and Development (DSWD). Through the assistance and support from friends and some organizations, ATD Philippines has established links with four Manila impoverished communities, namely North Cemetery, Hilum and Lozada (Pandacan), Ilalim ng Tulay (Under the Bridge) at Quirino Avenue in Paco. Since , many families living under the bridge have been relocated to government resettlement areas outside Metro Manila–Norzagaray and Pandi (Bulacan) and Calauan (Laguna)–where we also conduct our programs. Father Joseph Wresinski (February 12, 1917- February 14, 1988), a French Catholic priest, founded ATD in 1957. His personal experiences living in a poor community influenced his vocation and commitment to address social injustice by consulting and working alongside people living in poverty. Father Joseph’s approach is not about dole-outs and donations; it is about listening to the poorest and excluded and acknowledging them as equals and as part of society. For many years, he and the ATD Volunteer Corps built a network of leaders representing nations, churches, and international bodies from all over the world. Father Joseph believed that every man or woman he met represented a chance for excluded families to be heard. He was determined to keep ATD Fourth World open to people of all cultures, faiths, and races. This is a core belief that we still keep. 1917 – Joseph Wresinski was born on February 12 into a poor immigrant family in Angers, France. 1946 – He was ordained as a priest and served in various parishes where he encountered and interacted with disadvantaged families. 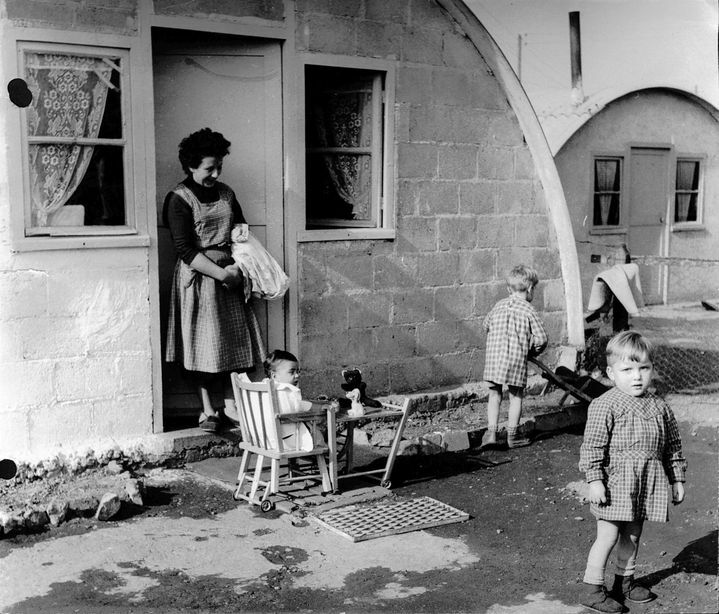 1956 – He was assigned in a large emergency housing camp in Noisy-le-Grand (France) where the roots of ATD were founded due to his work and relationship with the people living here. 1957 – He founded the International Movement of ATD Fourth World. 1979 – He was appointed to France’s Economic and Social Council. This was a significant step for an official representation for families living in persistent poverty. 1987 – On October 17, he invited the French citizens to gather at the Trocadero Human Rights Plaza (Paris) to unveil a Commemorative Stone honoring the victims of extreme poverty and exclusion. Over a hundred thousand people from different social classes came. In the same year, he published the Wresinski Report, a landmark report that provided recognition for people living in poverty as partners in society. 1988 – On February 14 (two days after his 71st birthday), Father Joseph died in a Paris hospital. 1992 – The United Nations declared October 17 as the International Day for the Eradication of Poverty. Since then, the Commemorative Stone, not only in Paris but also in 44 countries around the world, has become a rallying symbol on the fight against poverty.